I did not however get much biking in since it has been torrential rain for the past few days. It became quite sunny and hot today (Saturday) but the trails are all a mess and too wet to ride so I left the bike alone (I miss you though). So my times are pretty consistent, I hope as we keep doing this, I can get a little faster but that hill is pretty tough for me. I did absolutely nothing on Thursday! My second rest day for the week. 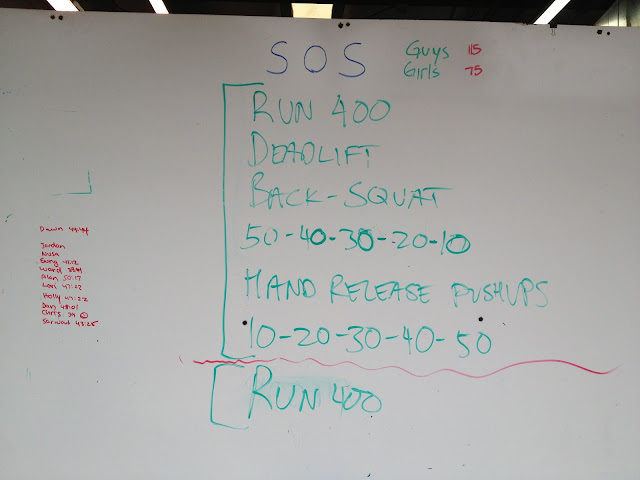 The deadlifts were easy at 55 lbs and the back squats were do-able at 55 lbs but the pushups killed me. Those are hard and still a big weakness for me. Still it felt good to do the WOD and finish. And since I did it at the Raleigh gym, there were way more people there and I didn't know most of them but still had a good time doing the workout there since even though they didn't know me, I still got high-fives at the end :) I seriously can't imagine doing this at 75 lbs though, I don't think I'd be able to walk the next day after 150 squat at 75 lbs. But someday I will be able to crush this WOD at that weight. Curried mustard greens and kidney beans on a bed of jasmine rice, yum, yum, yum. 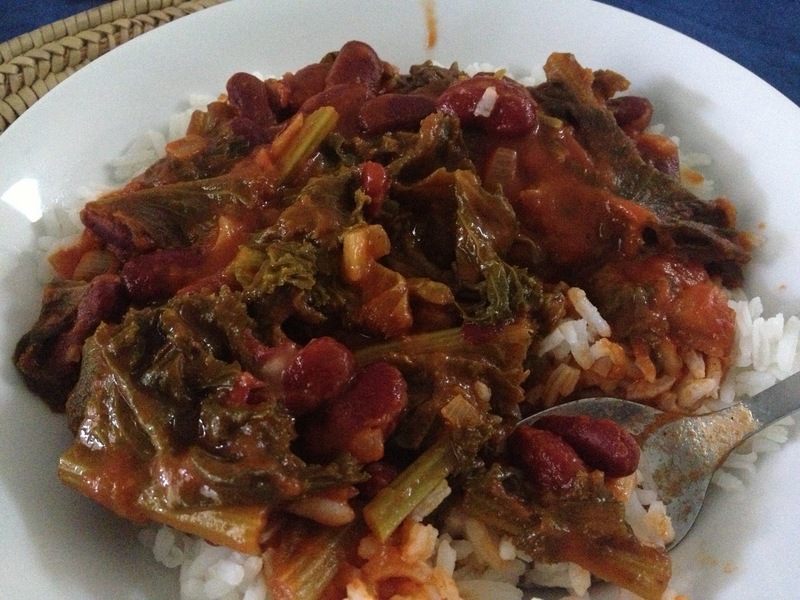 I also made a new dish - curried mustard greens and kidney beans (recipe here). I did substitute light coconut milk for the half and half. I have felt lately that really watching what I eat and making sure I get enough carbs (150-200 g) and more protein (90-120 g), my workouts have felt a lot better. 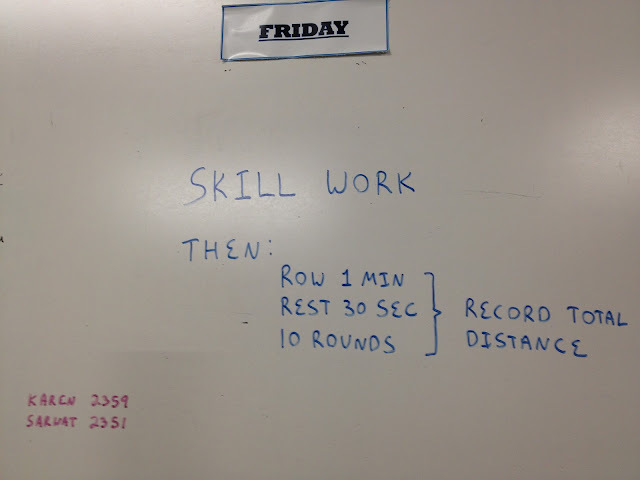 I haven't felt tired on the bike and my endurance in the WODs has improved. 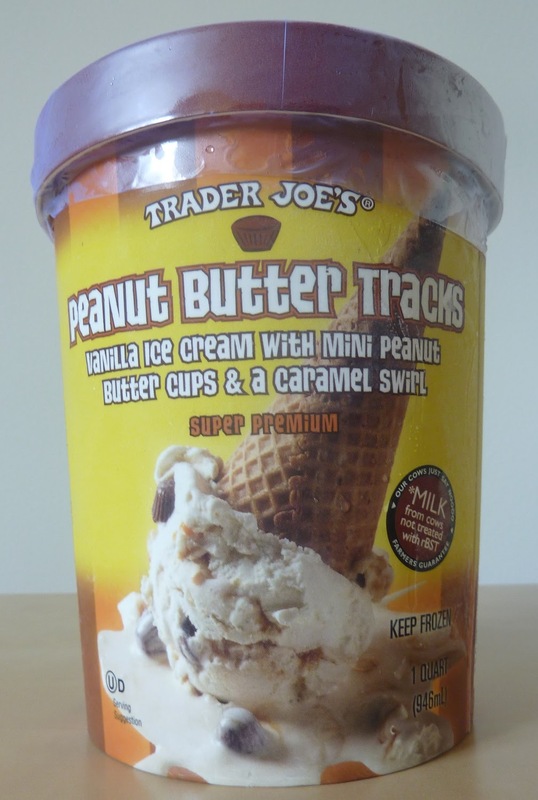 Of course, I still have days when I don't take care of my diet and ate a quart of Trader Joe's peanut butter Tracks ice cream over a period of 3 days. The worst part was not that I ate the entire quart so fast - it was that the ice cream wasn't even that good! There weren't enough peanut butter cups and the vanilla ice cream was average. 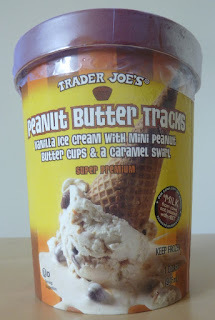 I know I should stick to Ben & Jerry's if I want to eat ice cream and be happy but I got tempted while at Trader Joe's and this is what happens. 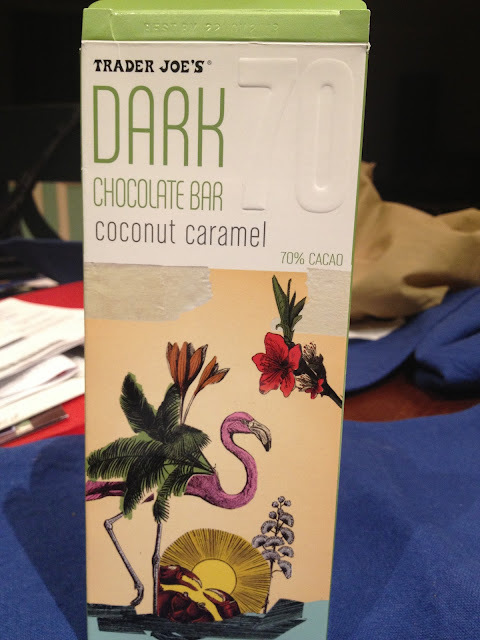 I did however, try some chocolate at Trader Joe's that was OUTSTANDING: Trader Joe's Dark Chocolate Bar Coconut Caramel New Item with Hints of Black Hawaiian Sea Salt & Cacao Nibs. This was the really good stuff and I would definitely try this again. The chocolate was good and the caramel mixed with coconut (not overpowering) was a perfect combination. So I'm mostly eating right- lots of veggies, lots of chicken, salmon, tuna, grass-fed beef, organic eggs, organic milk (not ready to give up dairy) and a little rice and sweet potatoes to cover the days I need to carb up but I still have to indulge once in a while. I'm thinking this chocolate bar will be my go-to indulgence. Hills repeat is not fun and I always felt so happy when we finished! Talking about food, I need to balance my diet especially carb and protein!! True, the hill repeats are not fun at first but by the 3rd or 4th lap, I start feeling better!